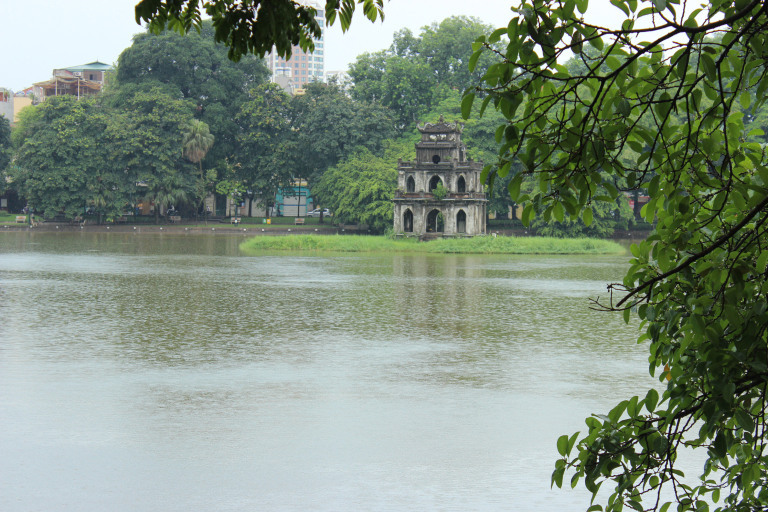 Hoan Kiem Lake, meaning "Lake of the Returned Sword" or "Lake of the Restored Sword"), also known as Hồ Gươm (Sword Lake), is a fresh lake in the historical center of Hanoi, the capital city of Vietnam. Its area is about 12 ha. 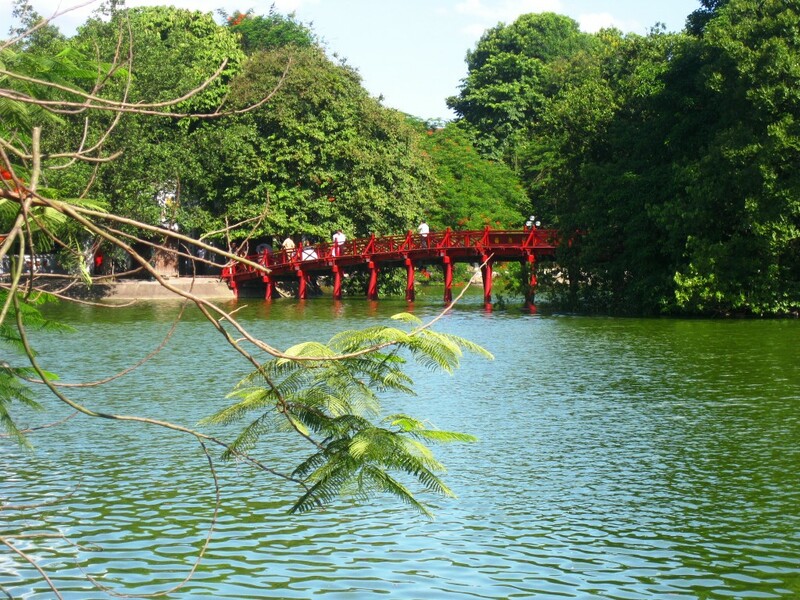 In the past, the lake also had the name "Luc Thuy Lake"(Vietnamese: Hồ Lục Thủy, meaning "Green Water Lake" - because the water is always green) or "Thuy Quan Lake"(Vietnamese: Hồ Thủy Quân, meaning "Lake for marine army to practice"). The lake is one of the major scenic spots in the city and serves as a focal point for its public life.